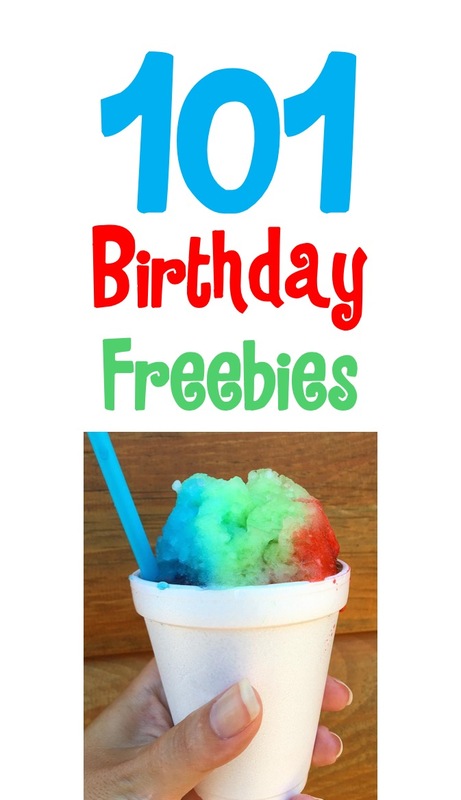 On the hunt for the Best Birthday Freebies and the Most Free Birthday Stuff? Check out this birthday gold mine! In fact, I cannot think of a better way to celebrate Your Birthday than with loads of Birthday Freebies! Simply sign up now for Birthday Freebies at your favorite local restaurants & stores ~ you’ll thank yourself later! And… you may even score some more free surprises throughout the year! AMC Birthday Freebie = Free Birthday Popcorn and Drink! Arby’s Birthday Club = Free Birthday Shake! Au Bon Pain eClub = Free Travel Mug & Free Birthday Surprise! Back Yard Burgers Birthday Club = Free Birthday Burger! Baja Fresh Baja Birthday Club = Free Birthday Burrito! bd’s Mongolian Grill Birthday Club = Free Birthday Meal! Black Angus Birthday Club = Free Steak Dinner! Bojangles Birthday Club = Free Bo-Berry Biscuit! Boston’s Gourmet Pizza Birthday Club = Free Birthday Flat Bread! Bruegger’s Bagels Birthday Club = Free Birthday Bagel and Cream Cheese! Bruster’s Birthday Club = Free Birthday Surprise! Chevy’s Fresh Mex Birthday Club = Free Birthday Surprise! Chili’s Birthday Club = Free Birthday Dessert! Cold Stone Creamery Birthday Club = BOGO Ice Cream Coupon! Corner Bakery Birthday Club = Free Birthday Sweet! Cousins Subs Birthday Club = Free Birthday Surprise! CVS Pharmacy Birthday Club = $3.00 in ExtraBucks! Dairy Queen Birthday Club = Buy 1, Get 1 Free Blizzard Coupon! Daruma Birthday Club = $20 Birthday Coupon! Del Taco Birthday Club = Free Premium Birthday Shake! Denny’s Birthday Club = Free Grand Slam on your Birthday! Dickey’s Barbecue Pit Birthday Club = Buy 1 Sandwich, Get 1 Free! Dippin’ Dots Birthday Club = Coupons during your Birthday Week! DSW Shoes Birthday Club = $5.00 on your Birthday! Duke’s Chowder House Birthday Club = Free Birthday Entree! 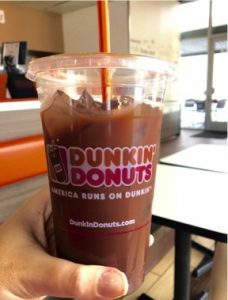 Dunkin Donuts DD Perks = Free Birthday Beverage! Dunn Bros Coffee Birthday Club = Free $5 for Birthday Coffee! Einstein Bagels Birthday Club = Free Bagel & Shmear! El Torito Birthday Club = Free Birthday Entree! 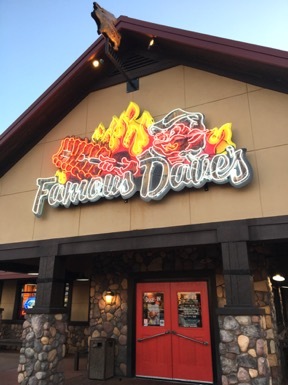 Famous Dave’s Birthday Club = Free Birthday Surprise! Famous Footwear Birthday Club = $10 Birthday Coupon! Fatz Restaurant Birthday Club = Free Birthday Surprise! Firehouse Subs Birthday Club = Free Sub Sandwich! First Watch Cafe’ Birthday Club = Free Birthday Meal! Friendly’s Birthday Club = Free Birthday Sundae! Fresh To Order Birthday Club = Free Birthday Surprise! Fuddruckers Birthday Club = Free Birthday Burger! Genghis Grill Birthday Club = Free Bowl! Gold Star Chili Birthday Club = Free Birthday Meal! Gordon Biersch Birthday Club = Free Birthday Surprise! Harkins Theatres Birthday Club = $5 Birthday Award! Houlihan’s Birthday Club = Free Entree! HuHot Mongolian Grill Birthday Club = Free Birthday Meal! IHOP Birthday Club = Free Birthday Meal! Island’s Restaurant Birthday Club = Free Birthday Surprise! Jack-in-the-Box Birthday Club = Free Birthday Tacos! 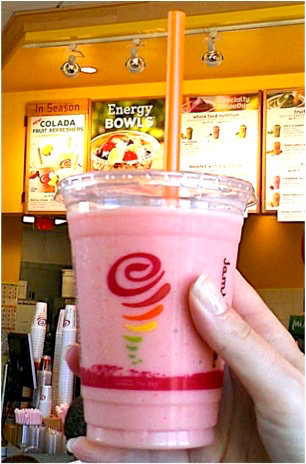 Jamba Juice Birthday Club = Free Small Soothie! 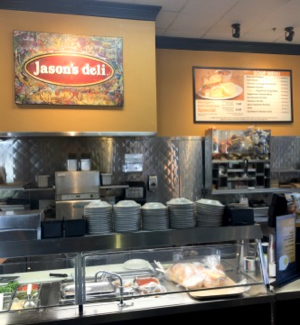 Jason’s Deli Birthday Club = Free $5 Gift Card! 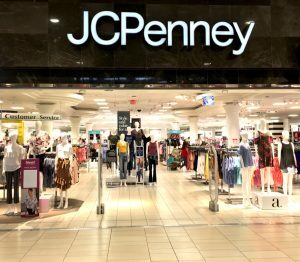 JCPenney Birthday Club = Free Birthday Gift! Jersey Mike’s Birthday Club = Free Sub + Drink! Joe’s Crab Shack Birthday Club = Free Birthday Surprise! Johnny Rockets Birthday Club = Free Birthday Surprise! 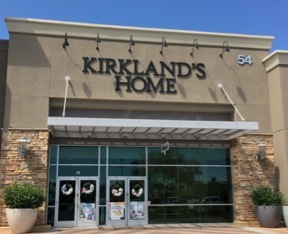 Kirklands’s Birthday Club = 25% off Birthday Coupon! Krispy Kreme Rewards = Free Birthday Gift! La Madeline French Cafe’ Birthday Club = Free Pastry or Slice of Cake! Logan’s Roadhouse Birthday Club = Free Birthday Surprise! LongHorn Steakhouse Birthday Club = Free Birthday Dessert! Lone Star Steakhouse Birthday Club = Free Appetizer! 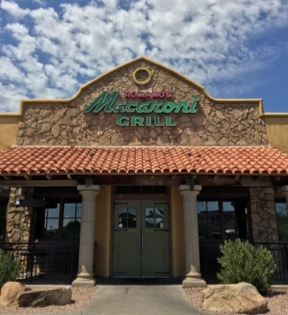 Macaroni Grill Birthday Club = Free Birthday Dessert! Maggiano’s Birthday Club = Free $10.00 Birthday Gift Certificate! Maggie Moo’s Birthday Club = Free $5.00 Reward Coupon! Manhattan Bagel Birthday Club = Free Egg Sandwich! Marble Slab Creamery Birthday Club = Free $5.00 Reward Coupon! Marie Callender’s Birthday Club = Free Birthday Surprise! McAllister’s Deli Birthday Club = Free Birthday Surprise! 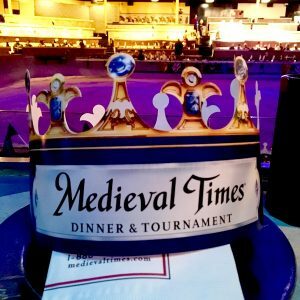 Medieval Times Birthday Club = Free Feast & Tournament! 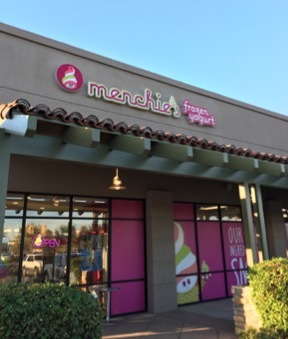 Menchie’s Frozen Yogurt Birthday Club = Free Birthday Surprise! Mimi’s Cafe Birthday Club = Free Entree w/Purchase! Moe’s Southwest Grill Birthday Club = Free Entree! Ninety Nine Restaurant Birthday Club = Free Birthday Surprise! Noodles & Company Birthday Club = Free Noodle Bowl! Not Your Average Joe’s Birthday Club = Free Entree + Dessert! Nothing Bundt Cakes Birthday Club = Free Bundtlet! The Old Spaghetti Factory Birthday Club = Free Kid’s Birthday Meal! Olga’s Kitchen Birthday Club = Free Kids Birthday Meal! Olive Garden Birthday Club = Free Birthday Dessert! On The Border Birthday Club = Free Birthday Surprise! Orange Julius Birthday Club = Free Birthday Drink! Original Roadhouse Birthday Club = Birthday Surprise! 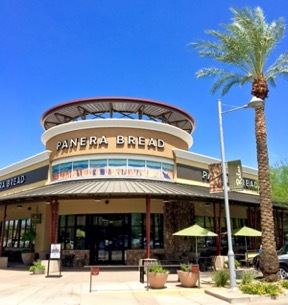 Panera Bread Birthday Club = Birthday Surprise! Papa Murphy’s Pizza Birthday Club = Free Birthday Surprise! 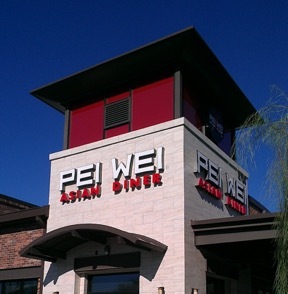 Pei Wei Birthday Club = Free Birthday Small Plate! Peter Piper Pizza Birthday Club = Free Birthday Surprise! Perkin’s Birthday Club = Free Birthday Surprise! Perkin’s Kids Birthday Club = Free Kid’s Birthday Meal! P.F. 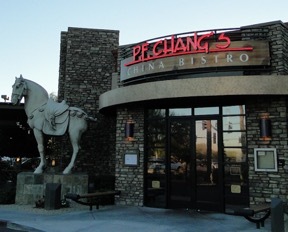 Chang’s Birthday Club = Free Appetizer or Dessert! Pick up Stix Birthday Club = Free Cream Cheese Wontons! Pita Pit Birthday Club = Free Pita! Pizza Hut Birthday Club = Free Birthday Surprise! Planet Smoothie Birthday Club = Free Birthday Surprise! PretzelMaker Birthday Club = Free Birthday Suprise! Qdoba Birthday Club = Free Birthday Surprise! A Red Hot and Blue Birthday Club = Free Birthday Surprise! Red Lobster Birthday Club = Coupons during your Birthday Week! 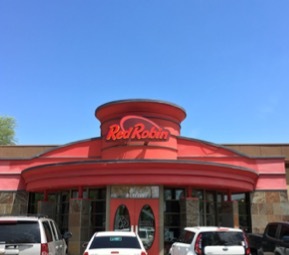 Red Robin Birthday Club = Free Birthday Burger + Free Appetizer Now! 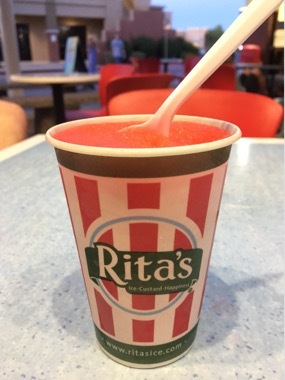 Rita’s Ice Birthday Club = Free Birthday Surprise! 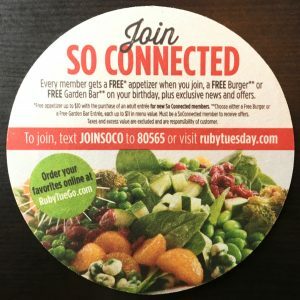 Ruby Tuesday Birthday Club = Free Burger or Free Garden Bar Birthday Coupon! Sbarro Birthday Club = Free XL NY Slice! Shari’s Cafe Birthday Club = Free Slice of Pie! Smashburger Birthday Club = Free Birthday Side or Shake with purchase! Sonic Drive-In Birthday Club = Free Birthday Surprise! Sonic Drive-In Kids Birthday Club = Free Wacky Pack Kids Meal! Souplantation Birthday Club = Free Lunch or Dinner Meal! Sprinkles Birthday Club = Free Birthday Cupcake! Steak ‘n Shake Birthday Club = Free Birthday Surprise! 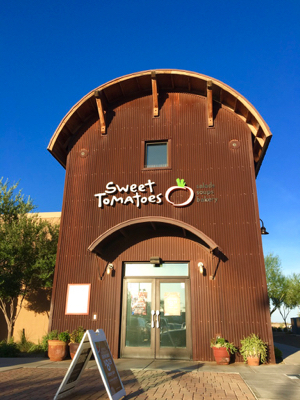 Sweet Tomatoes Birthday Club = Free Lunch or Dinner Meal! Taco Cabana Birthday Club = Free Birthday Surprise! Ted’s Montana Grill Birthday Club = Free Birthday & Anniversary Dessert! 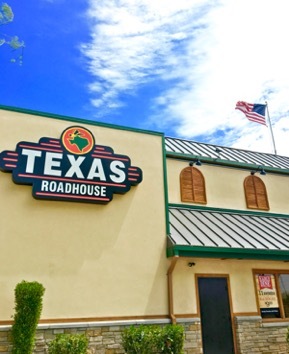 Texas Roadhouse Birthday Club = Free Appetizer or Sidekick of Ribs w/entree purchase! The Melting Pot Birthday Club = Free Birthday Voucher! The Old Spaghetti Factory Birthday Club = Free Kids Birthday Surprise! Tony Roma’s Birthday Club = Free Birthday Surprise! Tropical Smoothie Cafe Birthday Club = Free Birthday Surprise! Tucanos Brazilian Grill Birthday Club = Free Birthday Meal! Uno’s Chicago Grill Birthday Club = Free Birthday Surprise! Waffle House Birthday Club = Free Birthday Surprise! Wienerschnitzel Birthday Club = Free Birthday Corn Dog! Wing Stop Birthday Club = Free Birthday Surprise! Wendy’s Birthday Club = Coupons during your Birthday Week! World Market Birthday Club = a 15% off Coupon! Yogurt Mountain Birthday Club = Free Birthday Yogurt! Zaxby’s Birthday Club = Free Nibbler! Zaxby’s Kids Birthday Club = Free Birthday Surprise! Zehnder’s of Frankenmuth Birthday Club = Free Birthday Dinner! Don’t miss out! 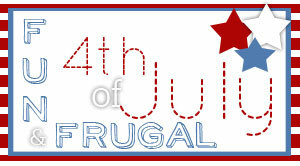 Get even more fun Frugal Girls Birthday Freebies, Tips, Recipes, and more when you Sign Up for Free Email Updates! 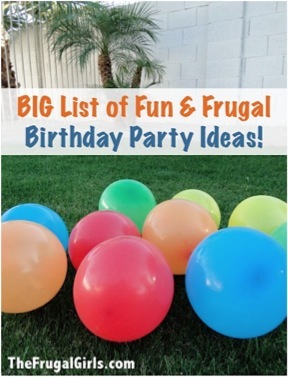 Do you know of more fun Birthday Freebies to add to the list? If so… just leave the information in the comment section below! Wow! So many excellent choices I don’t know where to start. I’m sharing this, for sure. Thank you for this great post! At Jeni’s Splendid Ice Creams any single, standard, or trio size ice cream is free on your birthday! I went to DSW today and it’s really easy and without a hassle they really do give you the $5.oo free towards you purchase in the store for your birthday. Extensive list! Thanks for sharing all of these!! AMC stubs gives a free large popcorn for your birthday. Excellent list! Thanks a lot! Do you have to join anything at each place prior to receiving free b day merch. ? Or can you really just show up and receive with a drivers license? Hi Dana ~ you’ll have to first join the birthday club for each restaurant you’re interested in, using the specific links in the post above. Then you’ll receive your birthday freebie offers via email. Hope that helps! Oh, I forgot to add that Streets of New York has a club. Occasional promos throughout the year and I got an email for a free birthday passion cookie dessert. Just a reminder to pay attention to all of the sports related promos going on throughout the year. Papa johns has several like 50% off when your local team(s) win. 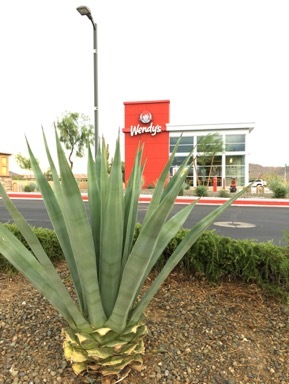 Here in PHX Jack in the box had a free jumbo jack baseball promo and taco bell had a 3 free taco promo with home runs and game wins that went on all summer. These will change city to city and time of the year but a lot of people don’t know/ forget about these. Hooters in Texas (Houston) has a similar club but it may be just certain groups of restaurants. I signed up at NASA rd. and get an email every year for some free boneless wings on my birthday. 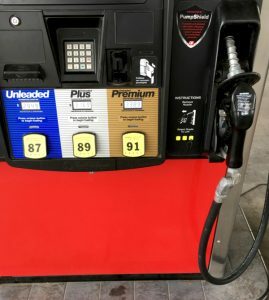 My local store in Az is not part of this but you can always ask if your store has a similar deal. Love the list and taking advantage of some of these every year..especially the Sephora makeup gifts, and food..Also, fyi: Ulta Beauty gives you a makeup item as well..like a mascara or something. Dutch Bros Coffee on the west coast gives you a large coffee or drink just for showing your ID. Neat. Thank you very much! It’s good to know you can get something free for being born. Yes, Noodles and Company gives a free noodle bowl, but you have to be member for at least 60 days before your birthday to get it 🙁 So if you try signing up the day before your birthday like me you will be disappointed. The most awesome birthday reward I’ve encountered is Benihana – $30 for sushi for your birthday. I got a free full size Calvin Klein mascara ($18 value) at Ulta for my birthday for being in their rewards program. re: Old Navy, when it says FREE birthday surprise… is this the $15 off $50 coupon? Awesome list, thank you for sharing. I thought I’d share mine. some are same, some different. Joe’s Real BBQ – Show ID and receive a free MEAL and DESSERT on your birthday. This is my favorite deal I’ve found yet. Gooooood stuff too. I love their pecan-smoked turkey breast and homemade root beer! Joe’s Farm Grill – $10 credit towards a meal when you show your ID on your b-day. Liberty Market – $10 credit towards a meal when you show your ID on your b-day. Jack in the Box – Print a coupon for a free dessert with valid ID on your b-day. No purchase necessary. Benihana – Sign up for the Chef’s Table and a complimentary Benihana Birthday Dinner certificate, maximum value of $30 (excludes alcoholic beverages, gratuity and tax) will be emailed to you for use during the month of your birthday. 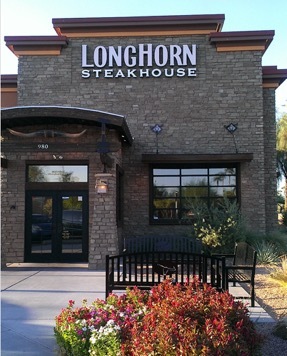 Black Angus – Free steak dinner (up to $19.99) on your birthday when you join the BA Prime Club. Offer requires the purchase of an additional entrée of equal or greater value. The Keg Steakhouse & Bar – Register inside their restaurant and they will snail mail you a coupon good for a free steak and lobster meal during the month of your birthday. 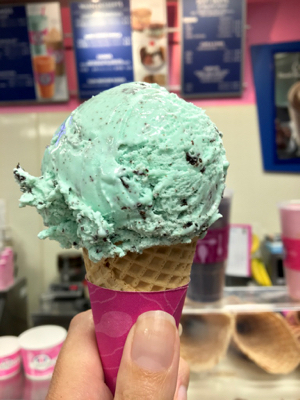 Baskin Robbins – Join the BR Birthday Club and get a coupon for a free 2.5-oz. ice cream scoop on your b-day. Cold Stone Creamery – Join their Birthday Club online and receive a free creation on your birthday. Z’Tejas – Register first and receive a $15 coupon for the month of your birthday. 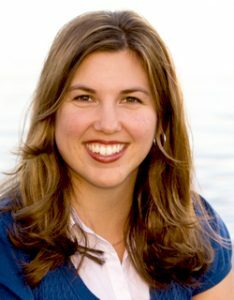 P.B. Loco Cafe – Register online (“sign up for free stuff”) and get a coupon for a BOGO free grilled peanut butter sandwich on your birthday. Uno Chicago Grill – Sign up and get a $10 off $25 coupon on your birthday. Qdoba – Buy-one-get-one free burrito coupon on your birthday if you sign up for eClub. 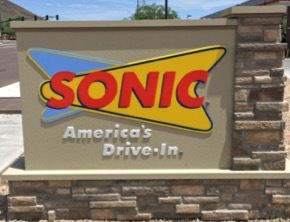 Sonic Drive-In – Become a Sonic Cruisers member and receive a free treat (regular cream slush, tater tots, or medium drink) on your birthday. Wienerschnitzel – Join the Wiener Lover’s Club and you’ll get a free corn dog on your birthday. Firehouse Subs – Join the Firehouse Birthday Club and a certificate for a free sub will be mailed to you the month of your birthday. Sweet Tomatoes – Sign up for Club Veg and receive an emailed coupon for B1G1F buffet for your birthday. Old Country Buffet/Hometown Buffet – Join the Mega Bar Meal club and get a free meal on your birthday, as well as a free meal just for signing up. Genghis Grill – Enter the “Build Your Own Birthday” Program and they will email you a coupon for a FREE bowl of stir-fry during the month of your birthday. El Torito – Join El Torito’s “Bull Ring” email club and receive a coupon for a FREE meal on your birthday. No purchase necessary. Schlotzsky’s – Join the Schlotzsky Bun & Fun E-club and receive a coupon for a FREE small “The Original” sandwich on your birthday. Zwirl – Join the Zwirl Club and receive a free frozen yogurt on your birthday. Must fill out form in store. • Denny’s. 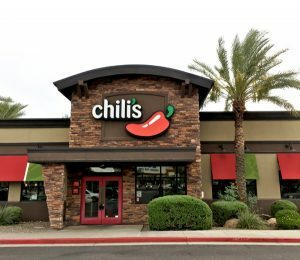 After a brief hiatus from their free perk, the chain’s restaurants in Arizona are again offering a free birthday meal with the purchase of another meal and two beverages. Visit dennys.com for locations. Firehouse Subs – Show your ID on your birthday and get a free medium sub. 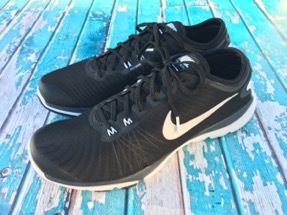 Scottsdale Running Co. – Members of the SRC club receive an “age specific discount” off the purchase of one pair of running shoes during the month of your birthday. i.e.if you turn 25 this year, you will receive 25% off a pair of running shoes. 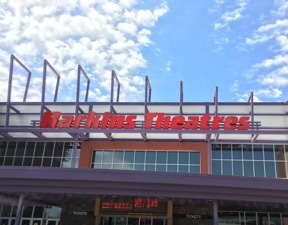 Harkins Theatres – Receive coupon for free medium sized popcorn when present ID at box office or Guest Services counter. Arizona Snow Bowl – Ski (or skyride during the summer) FREE on your birthday! Present valid identification at the Guest Services Desk in the Hart Prairie Lodge for your complimentary lift ticket. 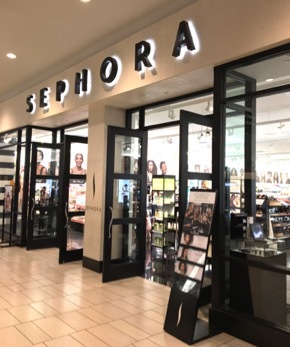 Sephora Beauty Insider – Join the Sephora Beauty Insider Club and receive an email on your birthday for a free Beauty Insider birthday gift. Arden B – Sign up to receive exclusive emails and receive a coupon for 20% off your next purchase on your birthday. Aveda – Sign up for Aveda’s Birthday Program and receive a postcard for a free Personal Blends Pure-Fume or Body Care product (worth up to $25.00) custom-blended with the aroma of your choice for your birthday. Community Tire – Join the email club to receive a FREE oil change on your birthday. Coupon good for a whole month after your birthday! Benefit Brow Bar at Ulta – Free eyebrow shaping on your birthday at Benefit Brow Bar inside Ulta stores (Select locations have the brow bar). You must show a government-issued ID, so you must go on your actual birthday. Changing Hands Bookstore – Stop by during your birthday month and receive a 25% discount or $10 off any single purchase. Must present valid ID. Joes Farm Grill gives you a free meal too, along with Joe’s Crab Shack and Joe’s BBQ. Ulta no longer gives the free Benefit brow wax. Nothing Bundt Cakes offers a free birthday bundtlet if you show their birthday email offer on smart phone or a print out. Dave and Busters in Milpitas, CA gives $10 free game play with purchase of $10 in game play. Rooster T Feathers comedy club in Sunnyvale, CA offers free entry for up to 10 for birthday month. 2 item minimum still applies. I love this list. Recently lost my job and my birthday is coming up in early August.. Looking forward to the freebies!! If you sign up for the VIP mailing list at Toby Keith’s I Love This Bar & Grill they give you a coupon for a free steak dinner. Looks like a lot of great birthday treats! Wish I would’ve seen this BEFORE my birthday! oops, always next year! Enjoy and Happy Birthday to All! Texas de Brazil gives you a free meal ($50 value) holla! Also for anniversary too! If you show your ID at the Golden Corral you get a choice of buffet free or filet mingion/fries/baked patato …. YUM!!! The Big Texan in Amarillo, Texas offers either a small prime rib meal or chicken fried steak meal for free – but it has to be on your birthday. Sign up for Vera Bradley email and you will get a $20.00 gift card in the mail for your birthday. 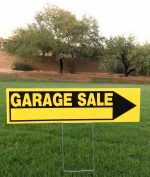 It is good for any purchase of $20.00 or more! Also, I would suggest signing up for email clubs at any dept. 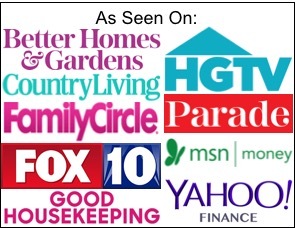 stores and restaurants you shop at. Most will send you coupons throughout the year and many send you a special offer for your birthday, often for something free! I love checking my inbox during my birthday month, I get so many things! Rudy Tuesday’s No Longer gives you a Free Burger on your Birthday. You now get a choice of either 1 Blondie or 2 Cupcakes. same her wasn’t it awesome!!!!!! OMG THANKS FOR ALL THE GREAT DEALS I’M GETTING OLD BUT ALL THE GOODIES MAKES IT EASIER TO FACE… IT’S GOING TO BE A FAT DAY WITH ALL THOSE FREE ICE CREAMS!!! P.S. DEL TACO GIVES A FREE SHAKE COUPON TO USE FOR 2 WEEKS FOR UR BIRTHDAY. Thanks for All the Great Deals and Help! I truly love this site!!!!!!! Vera Bradley $20 gift card towards in store or online purchase. You need to sign up in the store. My husband and my birthday are coming up soon so I will be going through all of these to try and get free things! If you sign up for Rubio’s email club they will give you a coupon for a free burrito during your Birth month! Buca di Beppo gives you a free small appetizer on your birthday. I sign on to Birthday Freebies.com last year, and I receive lots of free birthday treats, I couldn’t believe all of the restaurants that gave free gifts. One more to add. Schlotzki’s. I usually get a postcard for a free original sandwich mailed to me each year. Great American Cookie Co. will send you a coupon for a free cookie cake slice with the purchase of a drink. Vera Bradley will send you a $20 coupon/gift card for your birthday if your birthday is registered in their system. You can do this by calling in Vera Bradley store or contacting customer service. 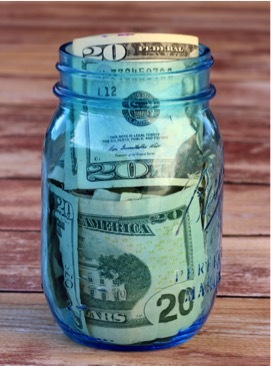 You don’t even have to spend a certain amount! Thank you SO much for this listing. I’ve signed up for many, many birthday specials. I appreciate all your effort in your daily deals too. This birthday list R*O*C*K*S!!! Rubio’s has cheaped out. It’s my birthday next week and they sent me a buy-one-get-one free burrito coupon rather than a coupon for a free meal, as they did in years past. What do I want with two burritos? None of my friends eat burritos and I don’t like reheated burritos. Aveda mails you a postcard for a free, personalized birthday gift (i.e. a body lotion infused with a scent of your choosing); it varies, but this year the postcard says the gift it worth up to $25. You must redeem it at an Aveda store (they include the list on the postcard you receive in the mail). No purchase required! Thank you! My birthday is June 17th! What did you get from skechers? And how do you sign up? Buffalo Wild Wings will send you a $20 coupon for your birthday celebration. They also decorate your table and you get a free cake and ice cream. Sephora gives a birthday present for Beauty Insiders as well. Last year I got a mini lipstick and mascara and this year I got a Nars lip pencil duo sample. -Golden Spoon will send you a coupon for a free yogurt. Krispy Kreme gives you one free donut….. they used to give you a free DOZEN! Guess they got smart! That was too good to be true! Thanks for this list!! Can’t wait, my b’day is in March! Thanks and HAVE A HAPPY! Just by signing up to the Khan’s club at the Genghis Grill restaurant, anyone can easily get hold of the free birthday bowl. Last week i got a card in the mall from vera bradley, i must be part of their mailing list because I got $20.00 to use in their store, on purchase on $20.00 or more needless to say It’s the best free birthday gift I’ve gotten in awhile! Wow did not realize all these places did that. Max and Ermas give free dozen cookies with the purchase of an entree. Great site! Tomorrow is my birthday, jan 1st…wish I had found this site sooner! There’s always next year if it’s the Lords will. God bless! 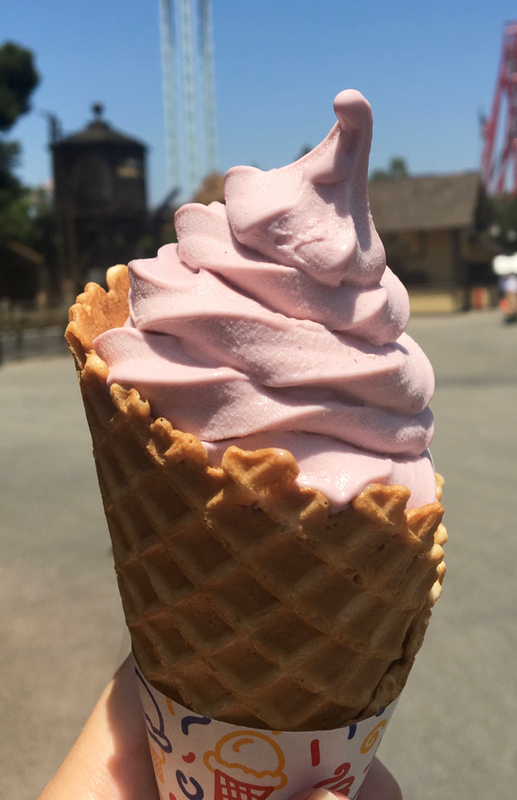 I may have missed it, but if not, if you join Bruster’s Sweet Rewards club, they email you special discounts every month, send you a BOGO on your anniversary date and a free ice cream the month of your birthday. Also, Provino’s Italian Restaurant offers a free dinner up to either $13 or $15 on your birthday. 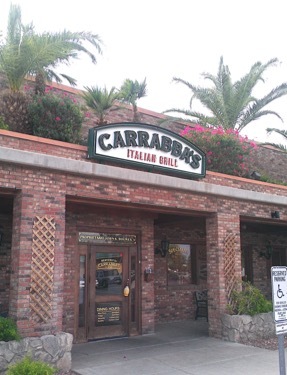 They have the best all you can eat salad and garlic rolls. I would like to be added to the birthday freebies list please, thanks. I’m so glad to know about all these freebies & I will certainly use them when my day comes around next year. Thanks for all the information. My birthday is on December 29th and oh my I am going somewhere the entire week!!! 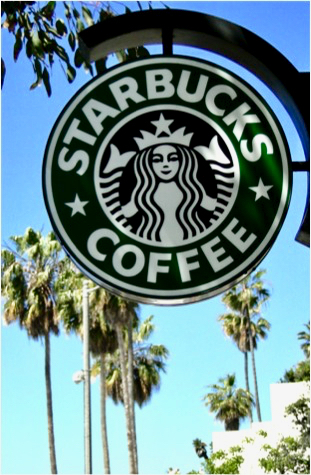 breakfast lunch and dinner, then buy some shoes, makeup…so excited!!! thanks for sharing. signed up for my free ice cream for my bday today! yay! The value of the steak with sides was 23.95. They also let me apply it to any item on the menu. If the item was more I had to pay the difference. If it was less they kept the difference. Biggby coffee sends you a coupon for a free drink on your birthday. Must register at their website. I’m from MN and tryed the Acapulco one, and it only has CA stores to choose from.. Can I not do it? i didn’t read all 165 comments but Vera Bradley sends a birthday coupon… i think it’s $20 off… but it may have been 20% off.. I can’t remember!!! Sign up online and make sure you tell them your birthday!!!! Ok the first comment did not put that I was talking about Red Robin. Many of these freebies will be valid for your entire birthday week, so I would definitely still sign up for those of interest to you. 😉 Hope that helps!! AVEDA…last year I got a choice of 2 items. Chose the free massage oil! What a wonderful gift, I hope I will get the coupons on my B-day. Caribou Coffee & Dunn Bros Coffee give a coupon for a free drink…any size or kind, and there is also the macaroni grill, red robin gives a free burger, sonic, papa murphys, and farmrich brand gives a coupon for $1 off when you sign up and $2 off on your bday…they make mozzerella sticks which are sold at target, walmart, etc and they also have french toast sticks at some places. Thank you for this amazing site! I appreciate all the hard work you put into finding these great offers! FYI…Albert’s Jewelers of Scherrerville, IN mails out $50 birthday certificates towards any purchase during your birthday month. I believe the deal is that you make a purchase and that’s what gets you on the birthday list. *I made one (large) purchase 3 years ago (ended up changing mind and returned) and am still get my $50 birthday certificates each year.. and using them! Thanks a million! This is a great list! Wow! Thanks. This is a great list! This is a fantastic site and list. I will make sure to mention your site in my newsletter 🙂 Keep up the great work! backyard burgers free hamburger for your birthday. How do you get the free blue ray dvd from Disney? I have been a member for awhile and have not ever received a dvd or anything for our birthday. I looked on the site and couldn’t find anything. Provino’s Italian restaurant gives a free dinner entree on your birthday. No email or coupon necessary. Macaroni Grill gives free cake and serenades you in Italian for birthday & anniversary. Lenny Dykstra car wash gives a free car wash for your birthday. 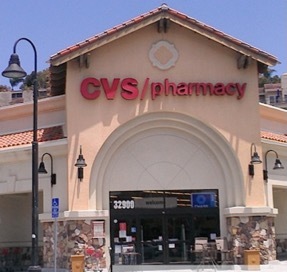 (Corona, CA locations) You may have to join their wash club but worth it. Payless Shoe Source also gives a Buy 1 Get 1 Free coupon AND 20% off entire purchase coupon for the month of your birthday. I just used mine yesterday! 4 pairs of shoes for only $30! I do hope most of these are either for the month or week of my birthday… the restaurants will totally lose out if you have to pick one or two to visit on your day! I’m going to have to join a gym to counter how many times I’ll be eating out in August! My b-day is 6-28 & I just started getting coupons in the mail too. yay. I’m writing down a list of places too & will prob blog about them all. My favorite is the 15% discount from Anthropolgy! You need to sign up for their free card..but so worth it! Thanks for sharing, Leslie ~ I just added it to the list! wow i just signed up for a lot of coupons and my birthday is tomorrow thank u! Thank you so much for the updated Black Angus link! Cold Stone Creamery gives a free ice cream on your birthday. You just have to sign up. CleanFreak Car Wash in AZ will give you a FREE wash on your birthday. Entertaining wash for the kiddos and free vacuums. Coldstone Creamery also has a birthday coupon for a free ice cream I think. 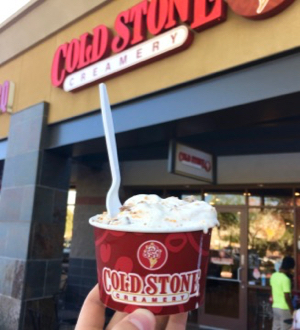 Sign up for Cold Stone Creamery Birthday Club and receive a coupon the week before your bday for a free dish of ice cream. If you sign your kids up for the Zaxby’s Kidz Club they recieve a free kid’s meal on their birthday. They will also recieve free cookie coupons a couple of times throughout the year. Walgreens -mails a $5 gift certificate for your birthday. When you sign up for their walgreens rewards online. I think Longhorn Steakhouse does a free dessert on your birthday. Coldstone Creamery gives ice cream and Sage Brush Steak House gives a free dessert. free coffee coupon for your bday if you sign up for emails from Dunkin Donuts. Cracker Barrel gives you free dessert! Get the Apple Dumplin..it is the most expensive or the NEW Pineapple upside down cake. Red Robin changed their birthday burger. I got a email last month about it. This is an awesome list! i shared it on facebook for all my family and friends. Thanks! For those who love adventure Jupiter dive center and Scuba works in Jupiter Fl have a 2 tank free dive on your birthday as well. You need to be a certified diver. thank you for researching all this for us. I have received a free lift ticket at Bear Mountain in Southern CA on my birthday! I’m not sure they still do it, but a whole day of free skiing was great! Thanks for the list! It’s amazing. It was time-consuming but I also signed up my husband and kids. I don’t know which one to choose for my birthday! bring em’ on ! time to celebrate !! 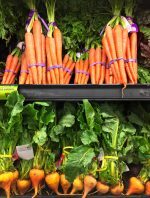 World Market gives you $10 to spend during your birth month for being a rewards member and it’s free to sign up. would love some freebies to be spoiled for my b-day week; going to be 58 on November 24th. 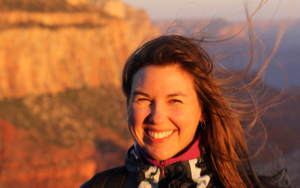 Horrible to think about it will also be a semi-first anniversay of the death of my kid sister. She died on 11-15-10, which was Thanksgiving Day and this year it will be on the 24th. I’m pretty sure that Logans Roadhouse will give you a coupon for a free desert on your birthday or to use around your birthday! Hi Britt ~ thanks for letting me know! i can’t figure out how to sign up for the aerie insider club? it sounds like a fun one! Join their club, it was either a birthday surprise or something for free for joing. It could have been both…not sure, it’s been almost a year since my bday. Auntie Anne’s isn’t working. Too bad because my husband’s birthday is comming up and he loves pretzels! Might be worth checking into, but I know American Eagle used to give 20% off for your birthday. I think it’s a week before and up to a week after. I haven’t used it in a while, and I can’t remember if you have to sign up for anything. Also, this one isn’t for birthday’s, but if you sign up for the Aerie insider club you get a free gift any thursday once a month. I’ve gotten perfume, a makeup bag with brushes, a totebag, lotion and others. It’s a good thing to do, and you don’t have to buy a thing! Provinos here in Atlanta gives you a free birthday dinner. Do the theaters AMC & Harkins still do a free movie on your bday? Red Hot N Blue gives you a BOGO entree on your birthday! Black Angus gives you a free steak entree which is redeemable 2 weeks before or after your birthday. this list is GREAT!! thanks for sharing!! Gordon Biersch has a buy 1 get 1 free for a week before & after your birthday! Wish more gave for the week of your birthday instead of the day. THere is only so much food and drink for one day. Most if them come with coupons for the week or even within a couple weeks. Spread out the fun and give each website a different birthday, so you have something coming in every month. You only need to give your real birthday to sites that ask for proof of birthday when redeeming. Most don’t ask for ID. Sound like a wonderful idear!Thanks! ea.com will send you a 25% off coupon code good toward your next purchase on your birthday. Boy, I wish there was a Toco Cabana around me. 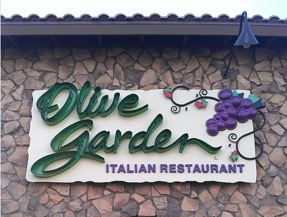 Love going there when we’re in Tulsa or Oklahoma City, OK. Great food @ a great price!! Toco Cabana do you hear me? Kansas City, MO is waiting!! 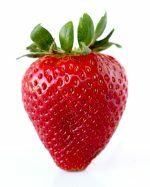 I just saw from a friend you get a free piece of pie when you join the Village Inn’s e-club! I love a good piece of coconut cream pie! Keva juice gives a free smoothie. Postino’s in AZ gives free bruchetta. 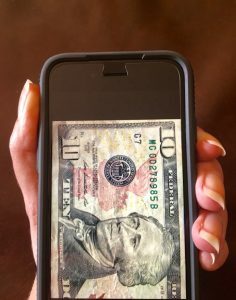 In Gilbert, Arizona – $10 towards any purchase at Joe’s BBQ, Liberty Market and Joe’s Farm Grill – all fantastic eateries! Our local Salvation Army gives a discount on your entire purchase on your birthday. Chick Fil-a has a 10 & under birthday club that sends you a free kids meal coupon during the month of your birthday and also once a month they have a party with lots of cake and gifts for all currently celebrating birthday club members. Great list! I love birthday freebies! Genghis Grill will send you a coupon for a free bowl…no other purchase required. Also Red, Hot and Blue will send you a coupon for a free entree with the purchase of another entree. You can sign up for both on their websites. Black Angus Restaurant has a free birthday dinner deal. Tropical Smoothie Cafe supposedly gives out coupon for free smoothie on birthdays. Shutterfly offers a surprise for your birthday when you enter your birthdate in your profile. 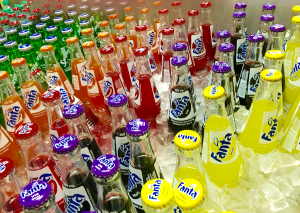 Awesome – we only have a few of these, but still – free is wonderful! Cheeseburger in Paradise has a birthday coupon too. I think it’s a free meal. Check out the deal @ Keg Steak House… Free steak or Lobster dinner up to $32.99 and Firehouse subs (show id and get a sub) best subs in AZ! Birthday Freebies are so fun! 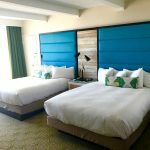 I don’t know if there are any in your neck of the woods, but Firth Watch emails you a free entree for your birthday week, if you sign up for their Sun eClub! Kids receive $5 in birthday bucks, a birthday crown and birthday fun pack with surprise goodies. Thanks for putting this list together! You are awesome! My birthday is next week and I am already planning my entire day around free food! Thanks for sharing. This is GREAT! Although I may pass out from sugar overload by three-lol. Your comment was so funny AND inspiring! Haha…I just found out about this and sat here and signed up at all the places I could eat at for my birthday as well! Yes! We go on a “Freebie Adventure’ every year for my Birthday! I love free stuff so it is perfect for me! We get to eat lots of different thing and the whole family gets full! moes southwest grill. i got a coupon for a free entree! yum! Moe’s Restaurant will give you a free taco on your birthday. Go to their website to register at http://www.moes.com. Not your Average Joe’s Restaurant in the New England area gives you a free entree and dessert of your choice. You have 2 weeks to use the coupon, the week before and after your birthday. The Peanut Butter Thing dessert is the best! This deal recently changed to a $15 credit (no minimum purchase). If you go to cobblestone on your birthday you get a free basic car wash.
Great ideas… keep the Birthday Freebies coming! Any others I’ve missed? Just leave a comment and let me know! Oh, also I think I got a $5 reward certificate from DSW for my birthday last year too. 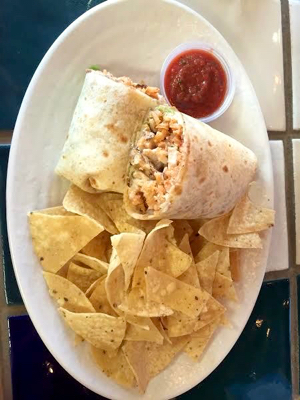 Bolocco will give you a free burrito if you have the bolocco card. Sephora insiders also get a gift on their birthday – it changes every year. Dunkin Donuts will also give you a free medium beverage! Noodles and Company emails us a free noddle bowl for our birthday! HUHot gives you a free dessert on your birthday! How do you get the gift card from academy? I have never seen this on anyone’s list! And I get emails from Academy! On the 3rd. 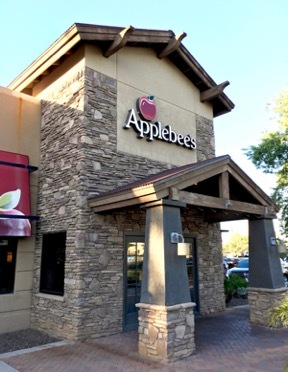 had a wonderful time at the Applebee’s in Auburn Me. and was very pleased that though the coupon for a free meal was not from the Maine Restaurant they honored it anyways as they normally give free dessert. Not only that I got a free desert as well. What a wonderful experience and the staff need to know that we not only appreciated the service and but their joyfulness. Thanks also to the chef who cooked my husbands steak exactly the way he likes it,rare, for very few places we have been to know how to satisfy a steak eater. This pleasant experience will be passed on to everyone we talk to.